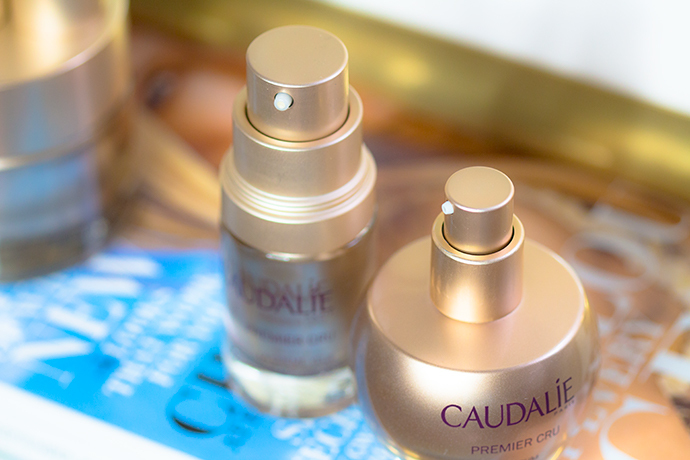 Caudalie is one of my absolute favourite skincare brands. It’s efficient, it’s clean and it smells lovely. I’ve tried most of the brand’s products over the years and seen only positive results on my skin. Premier Cru is a more expensive line and, in my opinion, suited for all of you ladies and gentlemen of 35+ or for those of you who deal with dry skin. The Elixir was the first product I had tried from the range. Now it’s called The Precious Oil and the bottle looks a little different but the formula is the same (in the photos you can see the original bottle). I had waited impatiently back in 2015 for the product to launch here in Brussels and I think I was one of the first buyers. It smells amazing, actually all products from this range smell similar (apart from the eye cream, which contains no perfume). 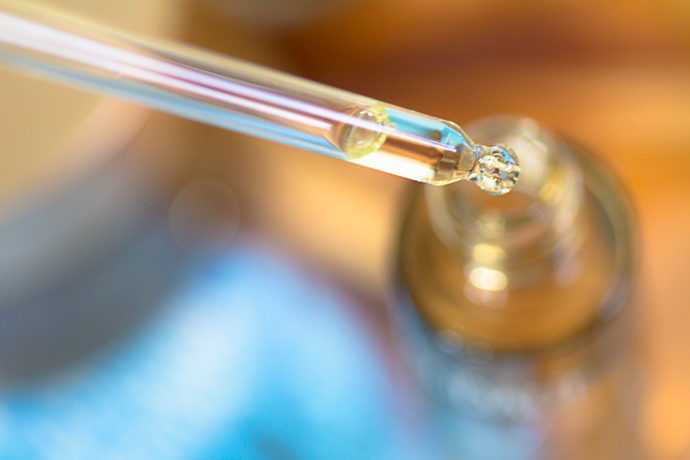 It’s a serum in oil which absorbs into the skin almost completely. It smoothes the aspect of the skin and after about one week of using it, the skin looks fresh and glows beautifully. Contains no silicons, parabens, mineral oils, colorings or animal ingredients. The first time I tried this product, was also in 2015, a while after buying the oil. Back then, the formula was silky and rich, perfect for dry skins. The bottle that you can see in the photos contains a new formula. The cream is perfume & silicone free, it has a dense texture, penetrates completely into the skin and has a matte finish. I think it great for combination skin and might work on dry skins; the product is definitely not enough for very dry skin. For me, this is the perfect formula since I have combination skin. 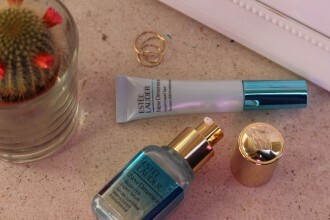 The Eye Cream hydrates, illuminates and refreshes the entire under eye area; as you know, I deal with under eye bags (mine are hereditary and don’t go away if I apply creams) and the product has a tightening effect which improves the under eye area, including the aspect of my under eye bags. If you wake up with puffy eyes, you should try this cream, because it will make a difference. The product is suited for sensitive eyes (mine are very sensitive and I also wear contact lenses). This is the new addition to the line and has been in the works for five years at Harvard Medical School. I received it in December at the perfect moment because my skin back then was really dry and I somehow felt that the skincare routine I was having was not efficient. After just a few days of using the serum together with the cream, my skin looked healthier. The Serum has a watery and milky formula which penetrates the skin completely, almost instantly; the product has a tightening, smoothing & refreshing effect. A little goes a very long way, I need 3 pumps for the face, neck and décolleté area. I love the air-free dispenser with pump which is made of glass. The Rich Cream has a dense consistency however it feels very light on the skin and penetrates instantly without leaving any residue at the surface. It is also a great makeup base. In my opinion, it is suited for all skin types of 35+ from the most sensitive to the driest. It smells like the rest of the line, fruity and fresh; the smell dissipates a few minutes after application. After one month of using these products, my skin is definitely in better condition as it was at the beginning of this trial period. The texture of my skin is more plump, hydrated, smooth; some of the fine lines have disappeared (I don’t have deep wrinkles yet) and the under eye bags have an improved aspect. The skin looks generally refreshed and it glows like healthy skin. If you want to try this line, I recommend that, in order to see important results, you should combine The Serum with The Cream. Sounds like the perfect line for people who are dealing with dry skin this season. I love that eye cream, it’s definitely something that I’d try! I haven’t tried this brand before! I do like the packaging. I’m always open to trying anything that can help my skin. wow! what a lux brand and great to know that it works! im happy with their other collections too but this would be fun to try! I would probably try these. I suffer from chronic dry skin. I think they might be out of my price range though. 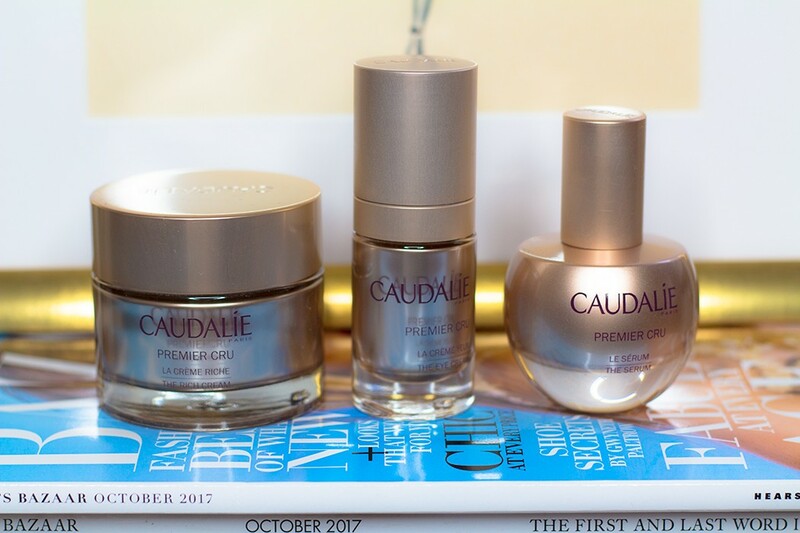 Caudalie seem to do some amazing items, I have to admit I’ve not tried anything from this particular range, I have others though. When I need to buy some new cream I’ll perhaps have to give this a whirl. Wow, all of that looks like it makes your skin feel so luscious! The brand is totally new to me. For me, it’s a bit tough to find the perfect skin care product. Thank you for the recommendation, this looks something that I should try to keep my skin smooth and hydrated. The rich cream looks like an amazing product. 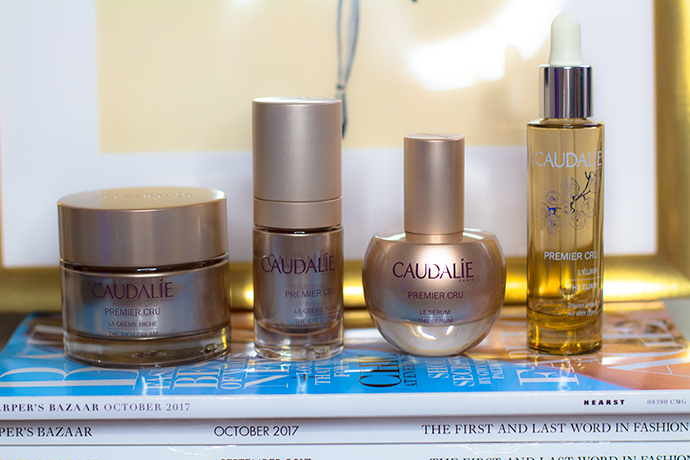 I’d love to try out Caudalie out one day. I have actually never heard of this brand. I would love to try the eye cream. The Precious Oil looks so nice. My gf would really love this as a present for Valentine’s Day! Love how beautiful these products look. I always like beauty products that hydrate the skin and don’t leave it flaky. Though I prefer ones that are delectably perfumed instead of fragrance free stuff. If I had the extra cash, this would be a wonderful product for my dry winter skin. Each one is a must have, without a doubt. I like that each product has a part of our skin that they focus on. Thanks for sharing your experience with this brand! I think this line is awesome! 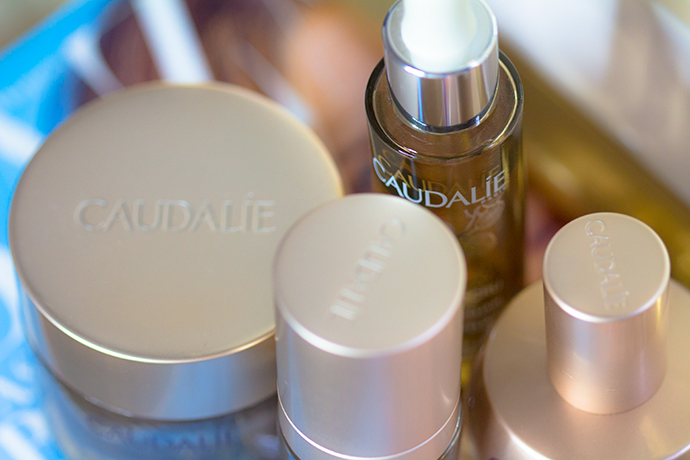 Caudalie’s products are amazing. I love their brightening serum! I have never heard of this collection, and it sounds exactly like what my Winter-Dry skin needs right now! Thanks for the review-I’m definitely interested in the serum and cream! 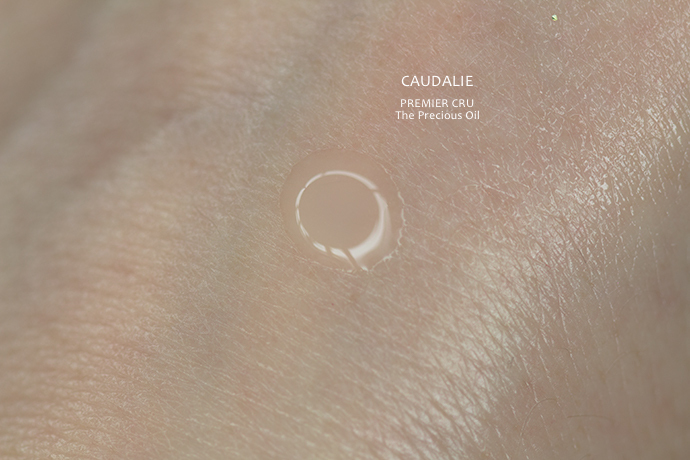 I love Caudalie products. They’re so amazing! Great review of this product! I will definitely be checking it out further and possibly making a purchase! Great skin care products to try. I like cream that smells fruity and fresh. And this cream that you got is a perfect make-up base? I think ladies out there would definitely love this. These are bottled exceptionally well. They are beautiful. I love healthy looking skin and finding new products to help that.